This Recipe is decorated very nicely to look like a sunflower. On the outside we have placed potatoes chips. For the middle we add real sunflower seeds! If you enjoy this recipe feel free to check out some other recipes on my blog. 1.) Wash and dry all of your mushrooms, cucumbers and also shred your cucumbers and cooked chicken. Next separate your boiled eggs into yellow and white, shred each pile. 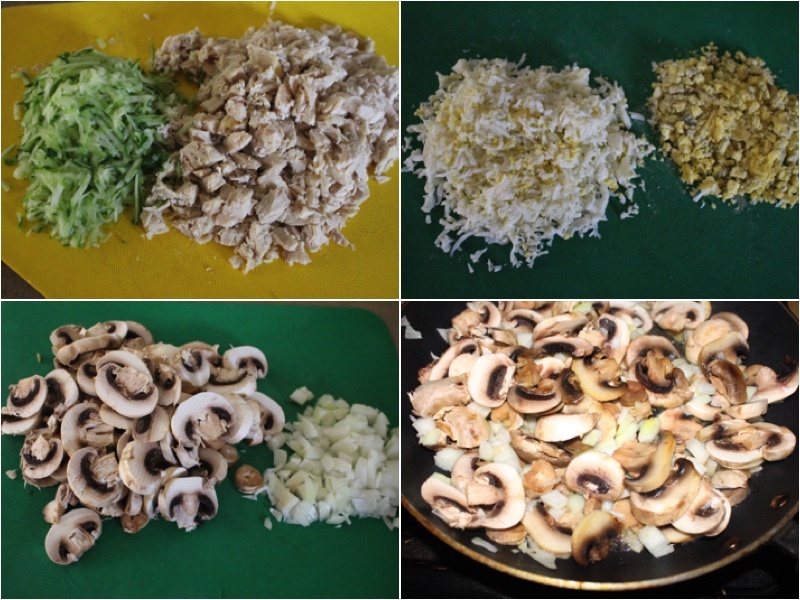 Slice your mushrooms and onions into thin slices. Fry your onions and mushrooms for about 5 minutes on a medium heat. 2.) In a large bowl add all of your ingredients, also add seasoning and mayonnaise. Mix together well until you have a well mixed salad. Do decorate place your salad on a large plate, add chips around the outside and then sunflower seeds and your shredded egg yolks. Also on the side add sliced scallions. Enjoy this recipe and share with your family and friends. 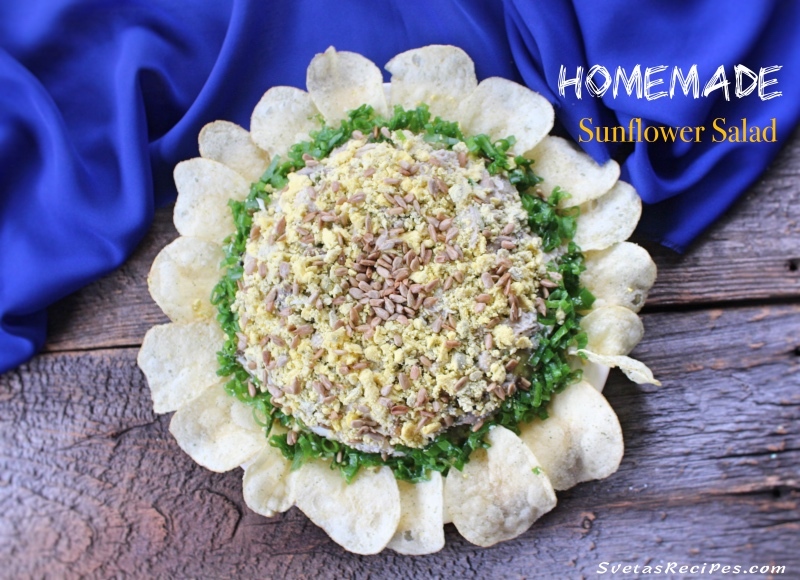 This Recipe is decorated very nicely to look like a sunflower. On the outside we have placed potatoes chips. For the middle we add real sunflower seeds! If you enjoy this recipe feel free to check out some other recipes. 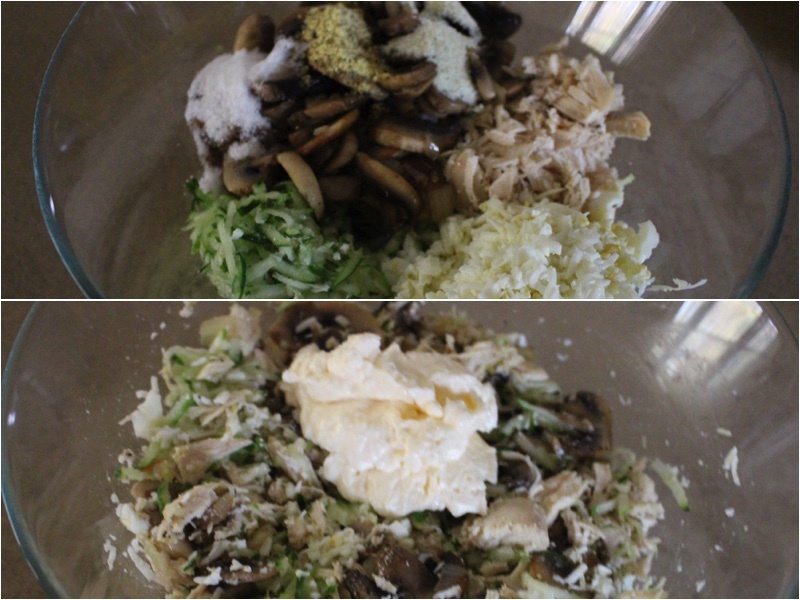 Wash and dry all of your mushrooms, cucumbers and also shred your cucumbers and cooked chicken. Next separate your boiled eggs into yellow and white, shred each pile. Slice your mushrooms and onions into thin slices. Fry your onions and mushrooms for about 5 minutes on a medium heat. 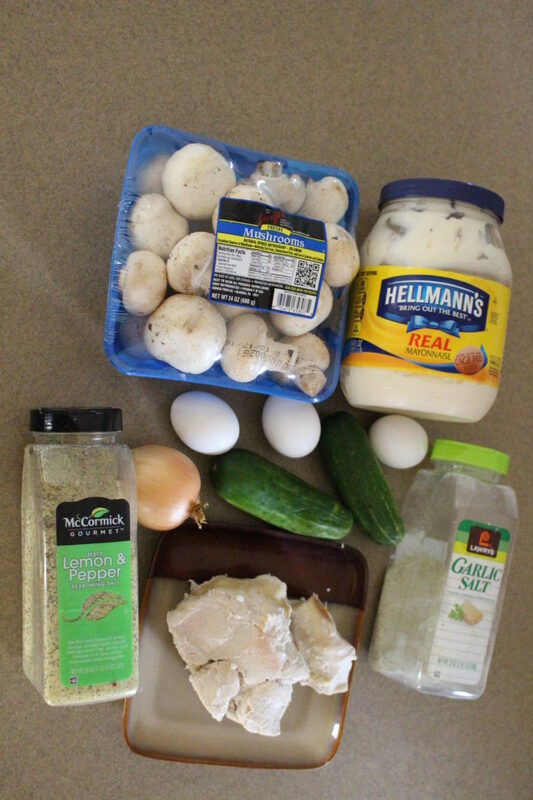 In a large bowl add all of your ingredients, also add seasoning and mayonnaise. Mix together well until you have a well mixed salad. Do decorate place your salad on a large plate, add chips around the outside and then sunflower seeds and your shredded egg yolks. Also on the side add sliced scallions. Enjoy this recipe and share with your family and friends.